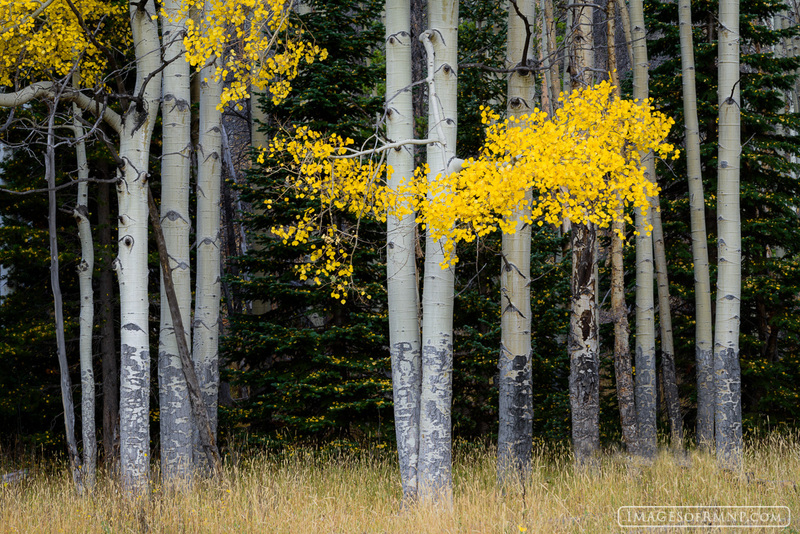 Autumn in Rocky Mountain National Park is a spectacular time when the beauty of the park receives a brilliant accent of yellow aspen scattered across the hills and valleys. Most of the aspen in Rocky have dark bands at the bottom due to hungry elk who eat the sweet bark. Photo © copyright by Erik Stensland.